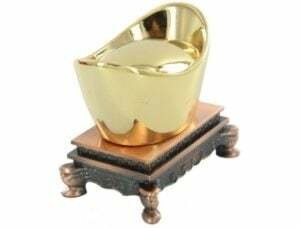 A Yuanbao, also known as a Wealth Ingot is an ancient type of currency used in China many years ago that is traditionally shaped as a boat but also can be found shaped as elliptic or oval with a little mound in the middle. 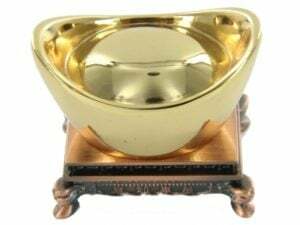 The Yuanbao was traditionally made of solid silver or gold and the value of the Yuanbao was decided by weighing it in “taels” which is a traditional weight measure from the Far East. Traditional Yuanbaos would vary in size as each one was handcrafter by a silversmith for local exchange and the size and weight of each Yuanbao would vary greatly. Each Yuanbao would have a marking on the bottom to signify the size. In more modern days, coins are more common place and a lot more practical although Chinese currency is still actually called “Yuan” which translates to round. The Yuanbao is traditionally used in Feng Shui as a very powerful wealth Cure. 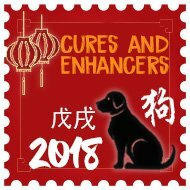 Although the Cures are not made of solid gold these days, they still symbolise great wealth and can help to bring new wealth in to your home or office and also protect existing wealth and in certain years they should be used to protect and enhance wealth and good luck especially when the #1 star falls in the northwest palace which it does in 2018. Yuanbao is also said to give protection for the eldest son or male in the building and also very good for those who have wealth problems. We have had our jù bǎo pén Yuan Bao wealth ingot’s specially created for us and made to exacting standards and auspicious measurements which are one of the most critical components of this stunning wealth enhancer and protector that must be placed in the northwest in 2018. There is an auspicious Chinese i-ching coin underneath the ingot plinth displaying yang characters with small pieces of Citrine and amethyst quartz crystals encased within the ingot which is the master enhancer of wealth and protection which enhances and protects wealth and must be placed in the northwest in 2018 enhancing the #1 wealth star. Citrine and amethyst are considered the ultimate quartz crystals for attracting wealth and good luck and combined with the strong metal enhancer of the ju bao pen and i-ching coin this makes this the perfect enhancer with the #1 kan star visiting the northwest in 2018 and this also creates a sheng cycle of strong enhancing strong metal. This really is of superb quality and the formula used is second to none. 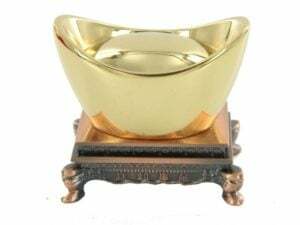 The most important aspects of this cure and enhancer is the overall height of the plinth and Ingot, in traditional Feng Shui you have auspicious and inauspicious measurements and the entire measurement must fall within a “Chai” sector which is approximately between 0.1 – 54mm and powerful enhancer and cure is nicely sited within Chai which is said to bring six types of money luck and a lottery win and in 2018 it is very good to place lottery tickets or competition entries underneath the plinth. This ingot is said to attract money, generous amounts of wealth, multiplying, duplicating, replenishing itself, infinite money, recreating money effortlessly and endless good luck. It opens up endless possibilities, outstanding success and overflowing abundance. 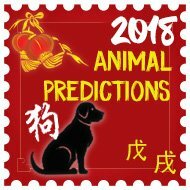 When 2018 year of the Yang Earth Dog ends on February 4th 2019 you should display this ingot in the west of your home or office to activate prosperity, good luck and abundance. It is a rare annual cure that can be used every year although you must check back with us to find where to place it each year to get the most out of it. 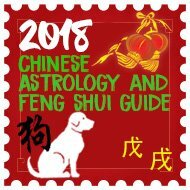 As I have mentioned many times creating good Feng Shui energy is not just about using any old cure and enhancer, the quality, stature, weight and design of the cure is crucial and our ethos over the last fifteen years is to provide the very best but also keeping the price realistic so many can afford to use them. 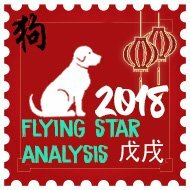 This year of the Dog is no exception, we have sourced the most stunning wealth ingot and the concealed Chinese i-ching coins, Citrine and amethyst quartz crystals. If you would like to know more about the Yuanbao Wealth Ingots that we sell, you can click the link here Ju Bao Pen Bao Wealth Ingot or the image below. Are you really prepared for 2018?